Every start-up is looking for the elusive product-market fit. 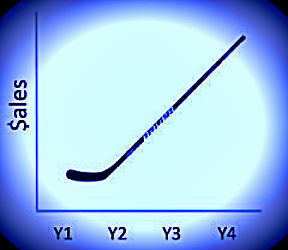 It’s the only way to get to the hockey stick market growth that can eventually lead to unicorn land. Finding the product-market fit is this magical moment in time when a corporation has found the market(s) who perceive the value proposition of their product to be irresistible. The first part is finding a (or a few) market(s) who perceive(s) your product as irresistible. This means you have found a market which has unmet needs that they consider important enough to want to pay you, rather than anyone else, to fulfill them. What is important to remember is that the needs to be fulfilled are often not directly related to the product itself. They are peripheral needs that the solution, which envelops the product, will fulfill. The Uber taxi service is an example. Its customers are not choosing them over the many competing taxi services because they want to satisfy the need to get from point A to point B. They are choosing to give their money to Uber and its drivers mostly because Uber made it easier to order and pay for a taxi ride from their cell phone. Also because the passenger has an important say in who gets not only to drive him or her but to drive a Uber taxi. The second part of the product-market fit definition is creating the value proposition which will prove irresistible. In order to provide significant gains, reduce some of the pains a market segment is experiencing, and help them do their jobs (real of figurative) more efficiently, you need to understand not only their needs but the environment in which they are felt. The third part of the product-market fit definition is the moment in time aspect. The product market fit has a start and a finish in time. It does not last forever once you have found it. It is tributary to a slew of variables that all need to be within a certain range for the fit to happen. As soon as one of the critical variables, or a sufficient amount of non critical ones, move outside of the ideal range, the fit disappears. Achieving product-market fit can only be done through trials, errors and adjustments. The fastest way to achieve product-market fit is to start with intimate knowledge of how one or a few market segments, with sufficient purchasing power for your product, fulfill one or many needs. It is then a matter of translating this information into a solution with an irresistible value proposition to these markets. This approach is significantly faster than developing a product for which you don’t have a specific market in mind and hence don’t know exactly which needs you will be fulfilling. This approach entails that you need to guess which market segment will find your value proposition irresistible then get to understand their needs. You then either must adapt your product to this new information, or if the value proposition is unappealing to this particular segment, move on to another and repeat the process. The risk of running out of funds is significantly higher with the second approach. There are a few indicators that will allow you to know when -your product-market fit has been achieved. The one I find the simplest is to plot on a graph your sales to total marketing costs (which includes your promotion costs) ratio over time for a specific market segment. If you are targeting multiple segments, you will need to allocate a part of your marketing costs for each segment. When you see constant growth for a period equivalent to 4 to 6 sales cycle, you will have achieved product-market fit. A sales cycle beign defined as the time it takes a customer to go through the sales funnel (from awareness stage to purchase). Hence if your sales cycle is 7 days, you will need to see one month to one and a half month of constant growth of your sales to marketing cost ratio. If your sales cycle is a month long then you will need to observe 4 to 6 months of constant growth to know you have achieved your product-market fit. You’ll want to keep an eye out for non-replicable events. If you are selling a new type of snow shovels, for example, and an unexpected heavy snowfall occurs, you will need to remove the period of the snowfall from your data. Finding the product-market fit is the holy grail of any start-up. It is the acid test which lets you know your efforts were not in vain. Now all that is left to do is find new markets so you can scale your business and keep a constant eye on your current one to make sure you don’t lose your product-market fit. Can I get you a coffee or a Red Bull perhaps?